I am here to tell you about how homesteading in the United States and the United Kingdom differ; there are many aspects that are different and many that correspond to each other. Having been smallholding in the U.K. for a few years now, I have noticed the pros and cons of it here. While living and working in an international Girl Guide [like the Girl Scouts in America] centre, I have discussed with many volunteers and guests from America how the land works, farming, and the differences between states, too—my good friend form Colorado explained about her parents smallholding. All this information and the quirks of different countries, and their approaches to smallholding, fascinate me. 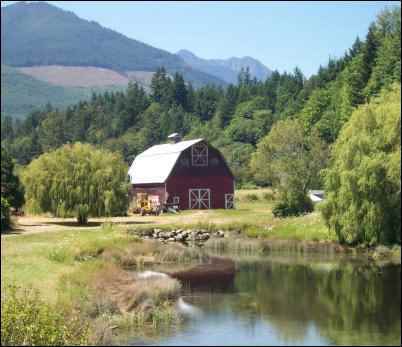 A large homestead in Oregon. So to begin, just the name is different in the U.K. than in the U.S. “Homesteading” is the more commonly used term in the U.S. for people who have anything from a small patch of land right through to people who choose to go off-grid and become completely self-sufficient. Additionally, the phrase “backyard farmer” is often used and known to be a term for a person who either homesteads for pleasure or hobby; or, someone who farms on a very small scale rather than industrially. In contrast, in the U.K., “smallholding” is the common term for “good lifers” who want to work closely with the land or livestock for personal interests, goals, or lifestyle choices. Additionally, the buzz words of “self-sufficiency” and “self-reliant” are smallholding’s keywords of choice in the U.K.
Quite often people in the U.K. get confused and do not realise that smallholding, self-sufficiency, homesteading, and backyard farming all come under the same umbrella. For instance, in a library or book shop if someone is looking for smallholding reference books they will more often go for the ones titled, “Smallholding Advice on Family Goat Keeping” rather than something like, “Keeping a Backyard Family Goat”. This is a shame and I hope with time self-sufficiency enthusiasts on both sides of the pond get comfortable with relishing all helpful resources, regardless of the differing buzz words and spellings. There are completely different struggles that need to be mentioned of homesteading in the U.S. and the U.K. For example, the U.K. is well known for having quite wet weather to deal with; however, we have mild, temperate weather in comparison to the U.S. The weather conditions in America can be much more severe—a tornado, hurricane, or even an earthquake could potentially decimate a needed crop or damage livestock fencing or housing. Additionally, the sheer size of America can sometimes cause problems for homesteaders. They may have a successful homestead, but may find the driving distances to local amenities, or markets at which to sell their produce to the public, much harder and more challenging. There’s much more room to spread out in the United States. 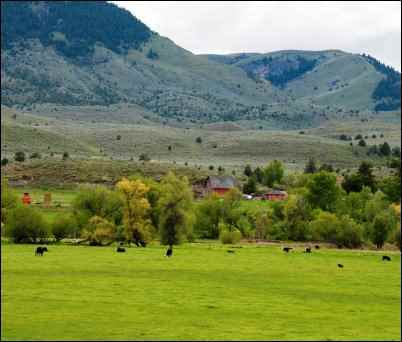 One of the good things is that, because the U.S. is so large and with such varying terrains to choose from, homesteaders can often be a bit more selective about the land they want to use. For example: choosing a location because of the better soil suitability, wind shelter, or flatter land. Whereas, because the U.K. is so short on land, quite often people farm or work the land in places that are not, perhaps, very suitable to use—for instance: hill farmers in the Lake District and North Yorkshire struggle to work the land in the harsh, severe weather conditions and hilly terrain. There are, unfortunately, plenty of struggles for homesteaders in the U.K. This makes it ever harder for people to pursue a more natural, closer-to-the-earth lifestyle. To that point, the price of land in the U.K. is a constant major issue. We are a small country and have very limited space for land and housing. Therefore, plenty of homesteaders utilise their gardens as much as possible with resourceful container planting, beehives, and poultry keeping; or they have to rent land instead. Renting land for livestock, hay production, or crop-farming is becoming increasingly popular. Landowners often do not want to sell the land but are happy to let someone cultivate it for a regular price per month. This allows people who cannot afford land a way to extend their self-sufficiency, yet they still end up paying a premium price for the privilege. Anyway, it’s a way of trying out different livestock and types of grassland before you decide for definite, so it gives some flexibility. The high price of land also lends itself to other problems in comparison to the cheaper price of land in the U.S. Quite often, people have had to work longer at “city jobs” to be able to purchase a small country dwelling, with a little land, when they reach the age of 50 or higher. This is fine for the people who are able to have high-paying city jobs and retreat to homesteading, but makes it difficult for younger, budding homesteaders or young families to make a start. Additionally, the age of people working the land in the countryside is increasing (the average age of a farmer is over 50), which may, in turn, cause community breakdown and isolation. For instance, young people are moving away to the cities and towns as they offer better employment prospects and they cannot afford to buy or rent country land as others can bid higher. 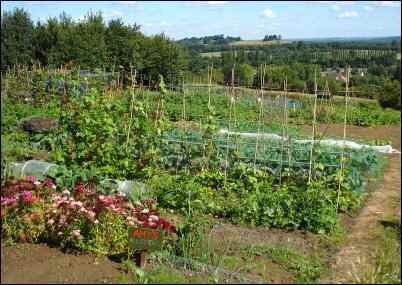 An allotment in Wheatly Villiage, U.K.
“Red Tape” also adds more struggle to the average homesteader in the U.K. Constant change of legislation causes stress and pressure on smallholders. For example, for four-legged livestock (goats, cows, sheep, and pigs) there is a huge amount of paperwork to conduct which may potentially put off a lot of newcomers. The current situation in the U.K. is difficult for both industrial farmers and smallholders. There are great problems currently with the difficulty of moving stock between auctions, shows and breeders. Additionally, some high profile diseases have been affecting both mainstream farm industries and small, hobby farmers. Recently, TB is a major concern and has impacted the dairy and beef cattle; there are still debates in parliament and in the government about what to do. There are talks of badger culling and eradication regimes (as they can be carriers of the disease), or alternatively, a vaccination scheme either for the cattle or badgers. It’s a very emotive and hot topic in the U.K. at the moment. Personally, I can see the devastating impact—economically and mentally—TB has on farmers and smallholders; yet, I hope there will be more scientific research to find a viable cure for this problem, as I believe that culling one of the U.K.’s few wildlife species will not resolve it in the long run. Because the U.K. is a small country, there is plenty of help on hand for budding new homesteaders and home farmers. There are lots of associations and societies in each county ranging from Rare-breed Pig Associations, to Village Allotment Societies, to Beekeeping groups. Also, our long history has had a big impact on the U.K. For example, because of our heritage of separate villages, often competing with each other in all things rural, we still have plenty of annual village fetes. These are not just agricultural fairs or livestock shows but also hold preserving, baking, and rural craft competitions. We are very lucky to have these and they help to keep rural traditions going and local communities together. Among all these struggles and problems of the smallholder there are many more positive things; it is extremely satisfying when you get your first fresh egg, or source your own veg! What is more, anyone can try it and give it a go. Homesteading can be done, to varying degrees, both in the U.K. and in the U.S. It’s how far people want to go to make a profit, or to be completely self-sufficient and off grid. Home farmers can slowly build up their smallholdings progressively over time, as they learn new skills or gain new interests in certain aspects of homesteading, such as large livestock. The first step for most people is simply to keep some windowsill herbs or salad crops. Then maybe move onto having a garden full of vegetables and fruit or to rent an allotment in their local town. It takes a while to master the skills to grow a good crop of both fruit and veg, so, often people specialise in a few crops and then barter with other kitchen gardeners or keen growers. If you have no land yourself, you can still try all the rural crafts and cooking skills associated with homesteading like preserving, canning, brewing beer, cheese making, and baking. Again, even if you live in a town rather than the country, you could still try foraging in certain places for free berries, mushrooms, wild herbs, and greens to use in cooking. 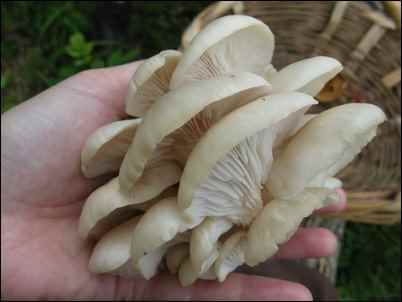 Like these oyster mushrooms, many edibles grow wild. If you have a little land or a small garden, the next step for most people is poultry. They are cheap, easy to look after, take up little space, while providing eggs and meat which are great sources of protein for a homesteader. I, myself, keep chickens; we keep them just for eggs and find this extra home produce great. They save us money and the chickens have such characters! Our ladies have the use of our garden to enjoy. Other good choices for people with little land are a few ducks or geese, as they, too, produce a good yield of eggs for the home farmer. Additionally, you can also breed rabbits for meat on a small area of land with good quality hutches. My Granddad, Basil, used to keep a good supply of rabbits which he then sold, in quantity, for meat to the local grocer to sell. New Zealand Rabbits are best for this as they have a lot of meat on them. Rabbit meat can play a good part in the diet of a smallholder as it is a lean meat with low cholesterol and also is cheap to rear. Moreover, Beekeeping is an option available for hobby farmers with little space and gives them the opportunity to produce honey and aid the pollination of their vegetable patch. 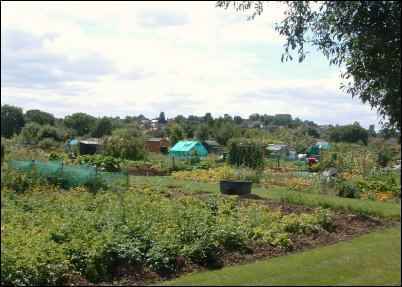 In the U.K., allotments are “shared” in many communities. If you then wanted to expand your homestead you might look into either renting more land or buying a property with land. This is perfect for people who either want to be more self-sufficient or make a surplus income off their homestead. The possibilities are endless! A hobby farmer can start to think about planting an orchard to produce fruit to eat and from which make wine or cider; or planting woodland to harvest their own firewood. Maybe, put in polytunnels, or hoop-greenhouses, to ensure a regular crop and also to produce extra for selling. This is often the time when smallholders think about keeping bigger livestock. Pigs are the popular choice with two weaners being able to be kept on half an acre. Goats and sheep are another solid choice for people who want a number of products such as cheese, milk, yogurt, wool, and meat. Cattle are good for both beef and dairy, yet, due to their size and need for grazing per head, are often a later choice for smallholders. In the U.K., all these four-legged animals need paperwork and a county parish holding number, and therefore require more commitment and legislation. All these aspects of homesteading require a lot more skill, time and space so often come later on in a smallholding experience. Other aspects a smallholder can take part in as they progress may be breeding their own, or showing their best, livestock. Overall, there is much to participate in and homesteading is a great lifestyle choice and a good way to meet like-minded people also interested in growing and keeping livestock. In conclusion, while homesteading in the U.S. and the U.K. have a number of differences, both have the same outcome regardless of the scale of homesteading: tasty home-grown produce, a simpler lifestyle, and learning much from the land! 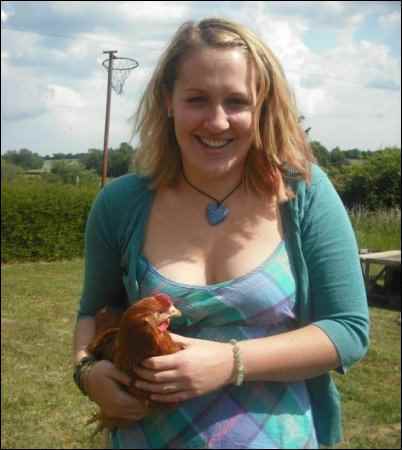 Katy is a British Smallholder currently living in Switzerland, kitchen gardener, baker, and blogger. She writes a regular column in Smallholder Magazine and has written articles for the U.K.’s Home Farmer Magazine and Country Smallholding Magazine.